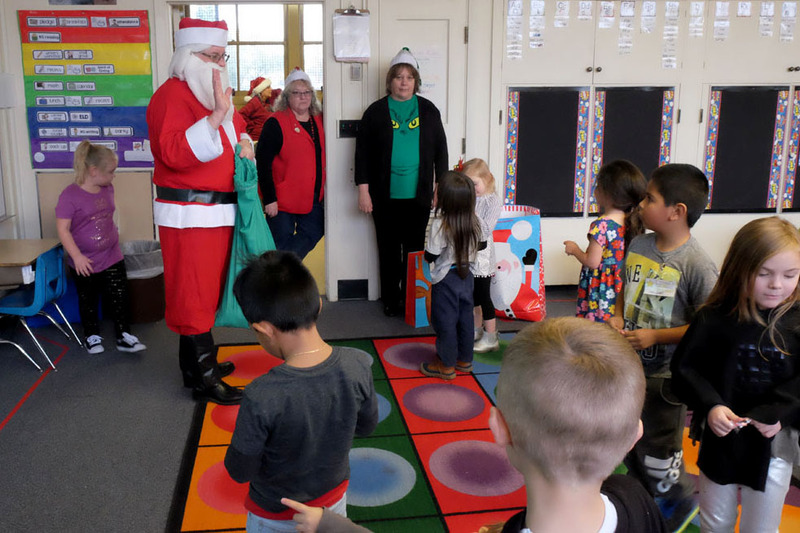 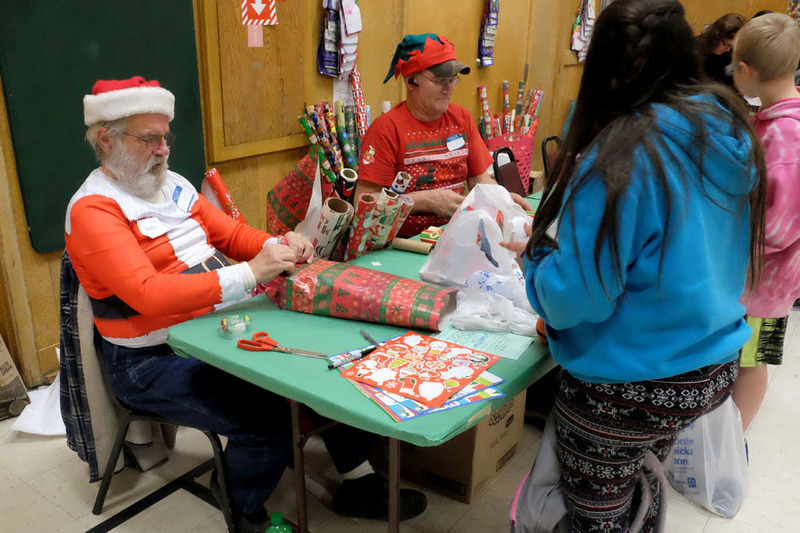 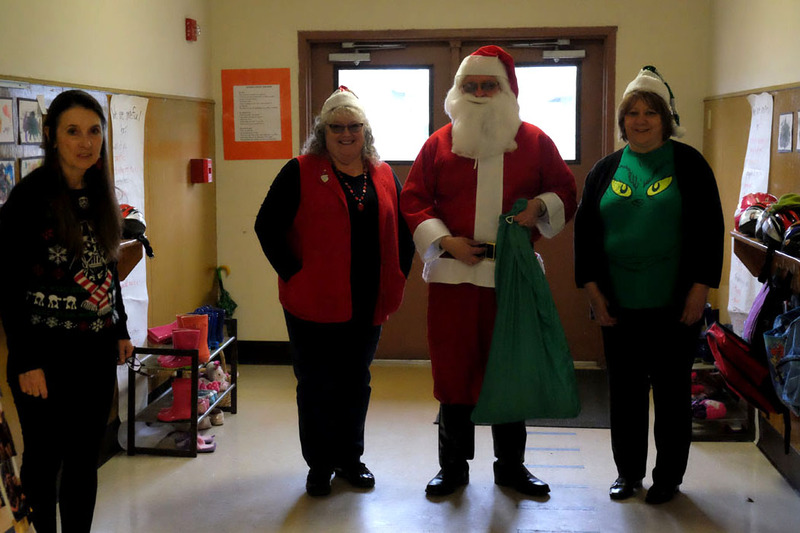 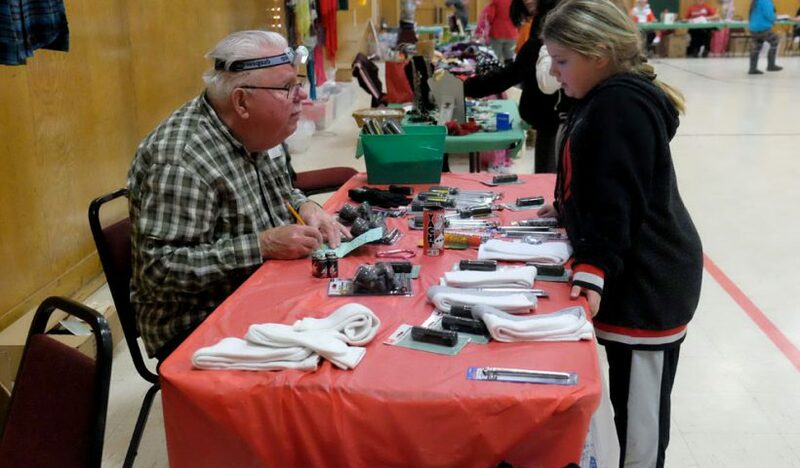 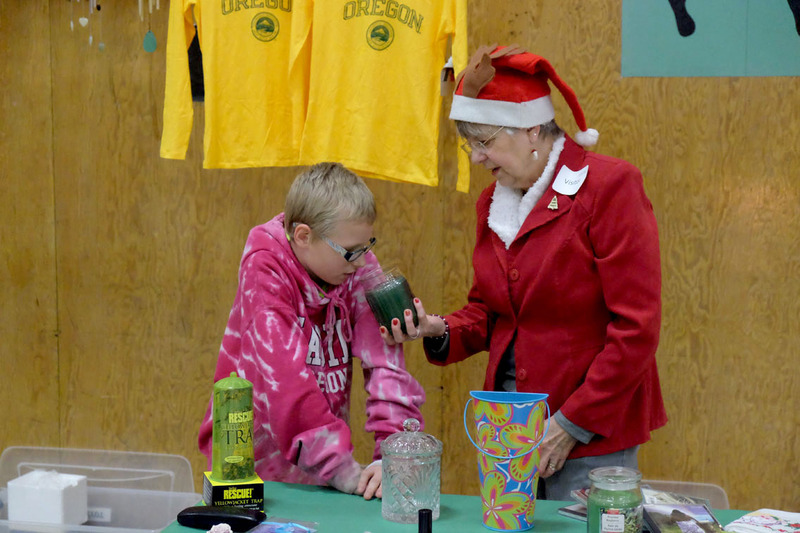 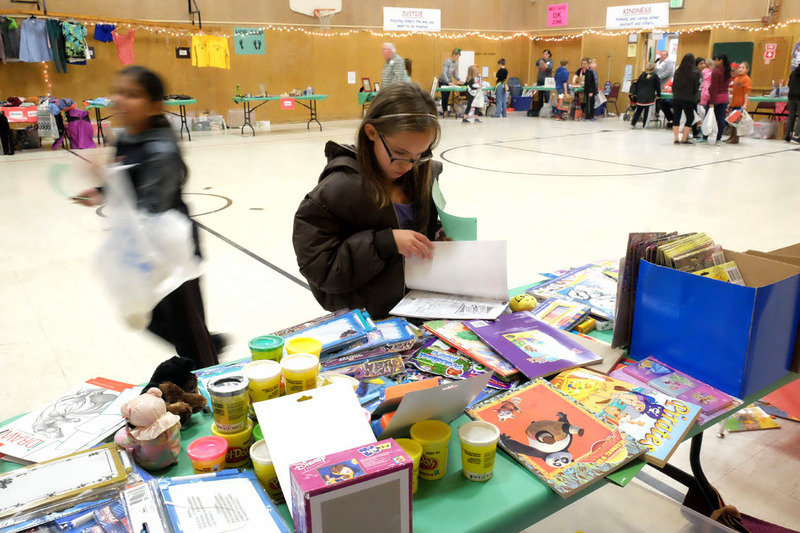 Thirty volunteers helped Waverly’s 300 students in kindergarten through fifth grade do their Christmas shopping before leaving for winter break. 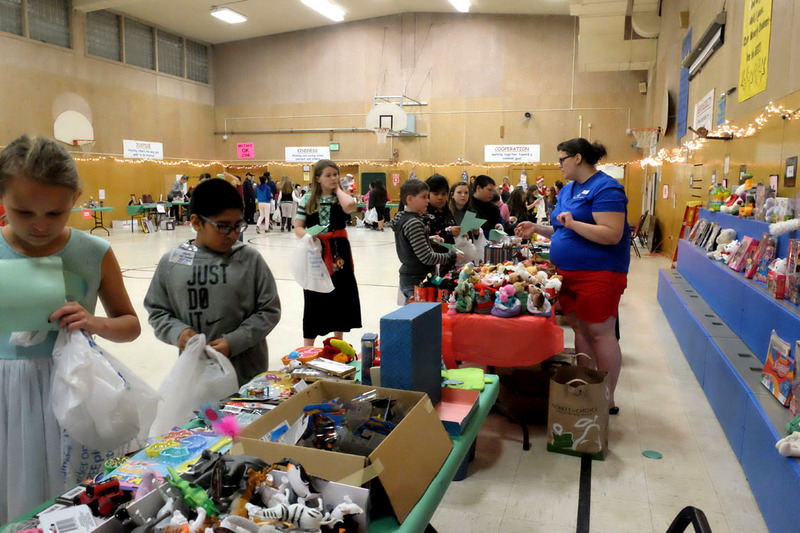 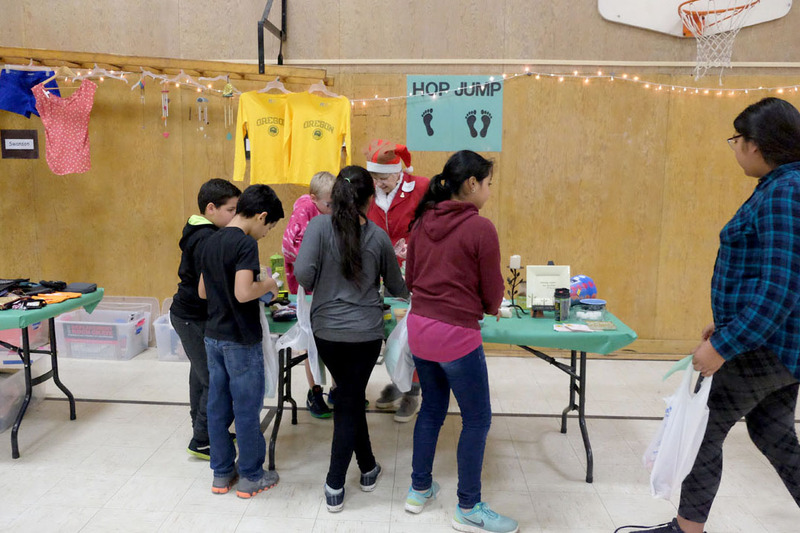 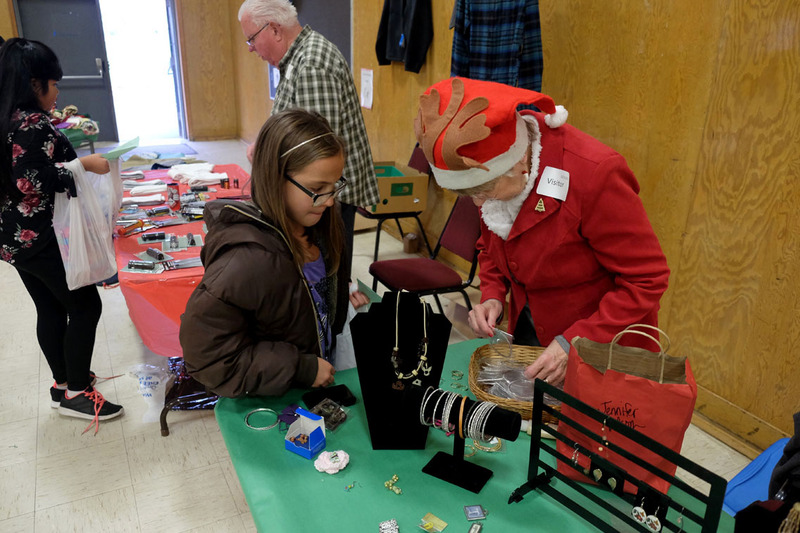 The fourth annual Waverly Elementary School Spirit of Giving event is a school and community favorite that brings volunteers and donations to the school so students can shop for holiday gifts. 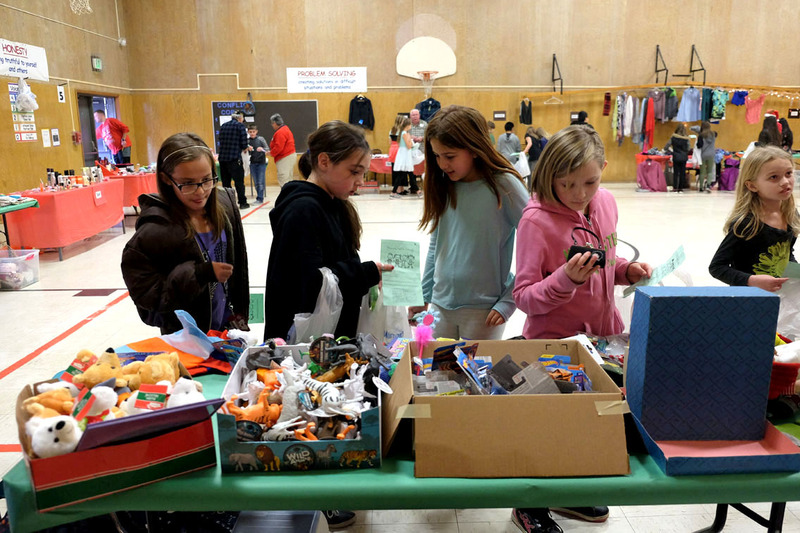 Each student is allowed to choose a gift for each member of their family. 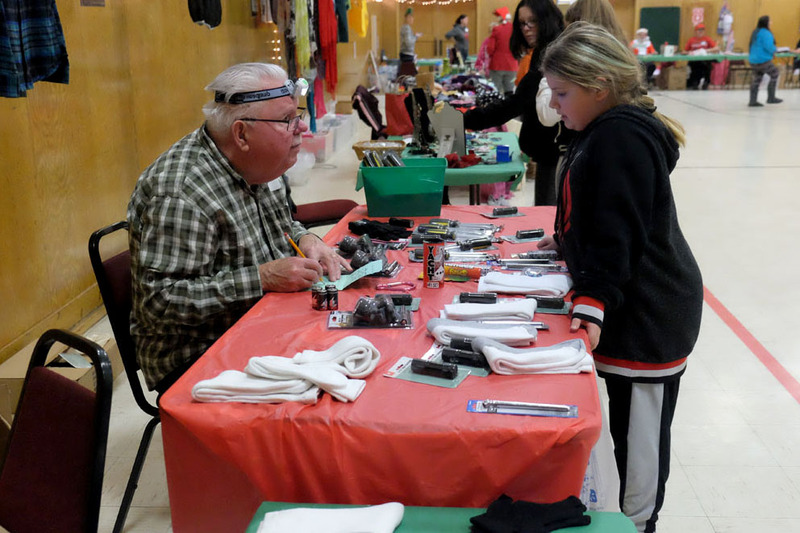 There are more than 1,000 gift items to choose from. 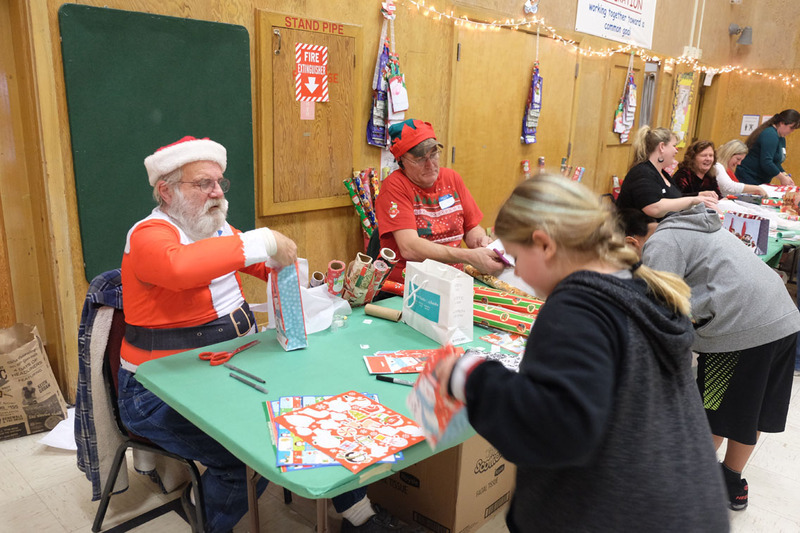 The gifts are made possible through community donations and a $1,000 donation from Walmart that allows the school to purchase in-demand gifts such as board games and gifts for men. 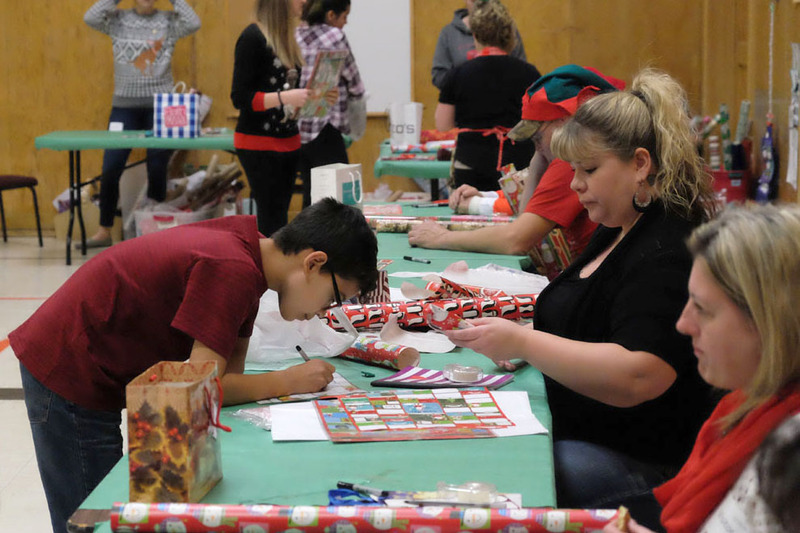 “Without the Walmart grant, it would be hard to have enough gifts,” said counselor Ann Bailey. 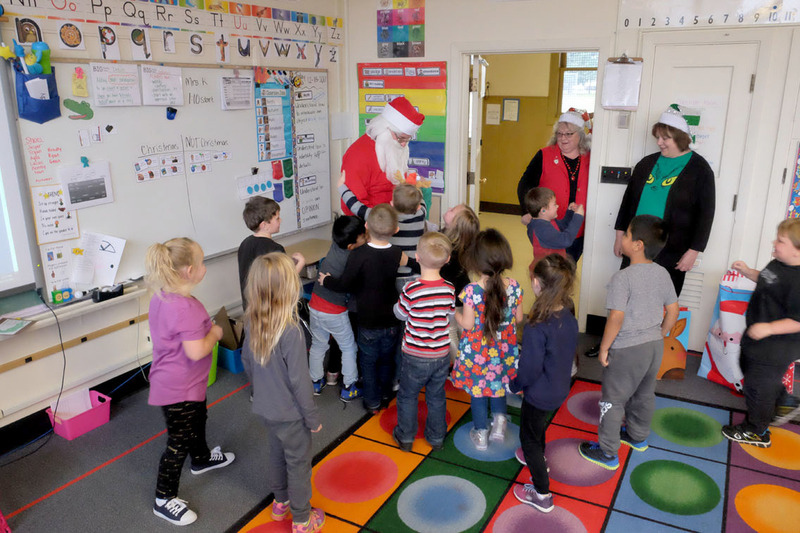 This year’s event brought an extra special guest to the school. 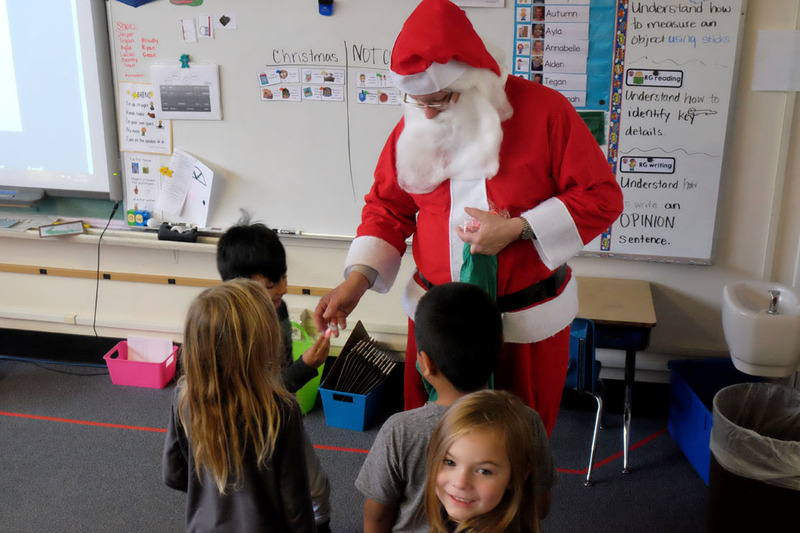 Linn County Judge Daniel Murphy visited every classroom to hand out candy canes and hugs.